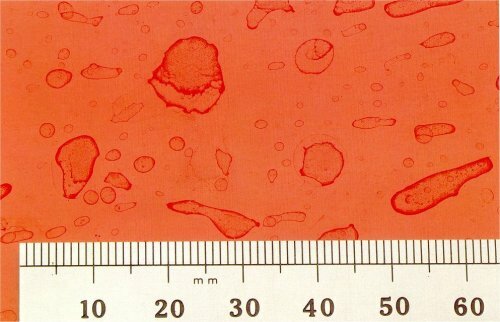 Circular marks, normally up to 6mm in diameter, on the surface of the paint film. The marks are usually lighter in colour than the surrounding surface. a) Exposure of the paint film to rain or water splashes before it has fully hardened. b) Rain or water splashes on an excessively thick film of wax polish. a) Protect paint surfaces from water until fully hardened. b) Do not allow excessive wax build up on the surface. Dewax the affected area, flat lightly, compound and polish, repeating if necessary. In severe cases repaint the topcoat.